AIDS Epidemic: Is an End Possible? Gaytorrent.ru Forum > GLBT issues > Health & Fitness > HIV & AIDS (Moderator: MrMazda) > AIDS Epidemic: Is an End Possible? The human immunodeficiency virus (HIV, in green), infecting a cell. Image taken with an electron scanning microscope. NEW YORK CITY — More than 30 years after the discovery of the AIDS virus, experts are optimistic that a cure for the disease will be found, and that an end to the AIDS epidemic is possible. But they caution there is still a lot of work to be done. Since the first cases of AIDS were reported in 1981, more than 25 million people worldwide have died of AIDS. There are currently 33 million people living with AIDS, including 1 million in the United States. There are 50,000 new infections in the United States each year. Three methods that are being explored to end the AIDS epidemic are drugs, vaccines and gene therapy. There are already drugs that can prevent AIDS, which is caused by the human immunodeficiency virus (HIV). Recent research has shown that taking antiretroviral drugs not only reduces the amount of HIV in the body, it can also stop transmission of the virus. People at high risk for contracting HIV can now take a daily pill to prevent infection, Dr. Robert Grant, an HIV researcher at the Gladstone Institute of Virology and Immunology, said here Friday (May 31) at a panel at the World Science Festival. But others say these drugs will not be enough to stop AIDS spread. In 1984, Margaret Heckler, the Secretary of Health and Human Services at the time, said that a vaccine against HIV was expected within two years. But today, no vaccine exists, and most trials testing HIV vaccines have failed to show any benefit. The reason making an HIV vaccine is so difficult is because the virus has already found a way around the body's defense — it is able to invade immune cells, the very cells that are supposed to attack it. But recently, researchers have devised new ways of creating HIV vaccines. One method uses stem cells that are engineered to develop into immune cells that lack the port of entry for the HIV virus. Without this port, or receptor, HIV can't get inside to thwart the immune system's attack. 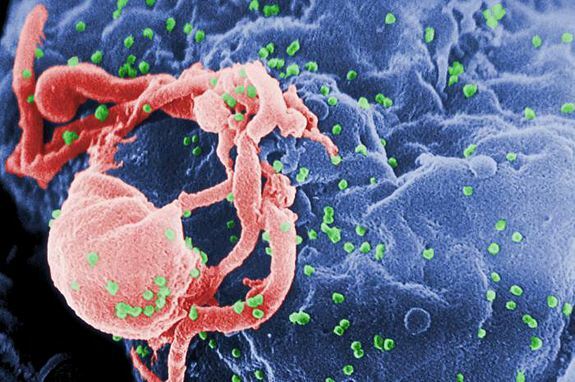 Another approach is to use gene therapy to get the body to make special immune cells, called broadly neutralizing antibodies, which are capable of preventing HIV infection. Most people don't make these antibodies in response to HIV. But the gene therapy gives cells the genetic material they need to make the antibodies. Both the stem cell and gene therapy methods were invented by Baltimore and colleagues. Baltimore said he hopes to start a trial for the stem cell therapy next month, and one for the gene therapy within a year. Experts point out that even when a trial fails, researchers can still learn something. "It's only through failure that you get to success," Grant said. Peter Staley, an AIDS activist, said he expects a cure within his lifetime, perhaps within the next 15 years. "Everybody thinks it can be done, it's just a matter of time and effort," Staley said. Re: AIDS Epidemic: Is an End Possible? There's been a rumor around the web that the Gates "Bill Gates" project as been successfull in using nano particles that spread bee poison that kills the vírus, the particles are big enough for a retrovírus yet small enough that no damage is taken in the cell... I'm wondering if there's any truth to it tho. I have read something similar in an HIV magazine. There is currently a series of studies being done using bee venom and marijuana leaf extract to force the virus out of the bone marrow and other reservoirs, after which the virus is vulnerable to being targeted by the medicines currently available that prevent the virus from functioning enough to survive and reproduce. They are hoping for complete eradication of the virus once the reservoirs release their dormant HIV. Those were some good things to know guys! "We've got to find a way to immunize people, so that they don't have to take an action to protect themselves," said David Baltimore, a noble prize winner and professor of biology at the California Institute of Technology, who also spoke on the panel. "That's how public health works." Not going to happen. AIDS is more than a gold mine the way it is now: PAY or DIE! Most science in this área has to be taken with the support group who finances it in the table, many mistakes have been done in the past, I'm staring at the news of a cure search using a mutante retroviral of the original ape vírus, I'm seeing the boné marrow cures reverse, it's all built around deception and it seams to want to stay that way for a while.